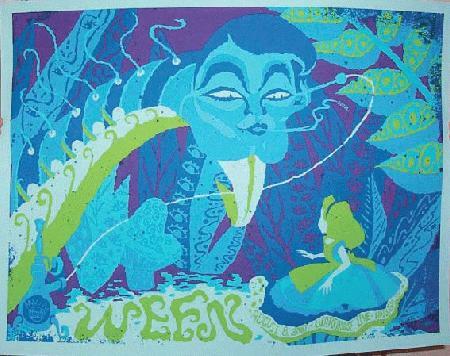 Original silkscreen concert poster for Ween at The Warehouse in Houston, Texas on August 8, 2007. 6 color screen print. 23.5 x 31 inches. Signed Artist Proof (A/P) by Todd Slater. Alice in Wonerland theme.